How to buy these books? Helios have a wide range of about 29 products under our belt to provide you a complete solution for any kind of shoes whether be it patent leather or sports shoes or nubuck and suede. 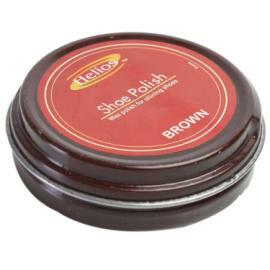 Helios provide variety of Shoecare products. Now Yebhi is providing these products which can be bought with free shipping and cash on delivery. How to buy Helios Shoe Care products? You can get this Moser Baer 4Gb Pendrive for Rs 149 if you havent registered(your email and phone number) for Snapdeal before. Else you would have to pay Rs 199 for this. Follow all the steps below carefully. 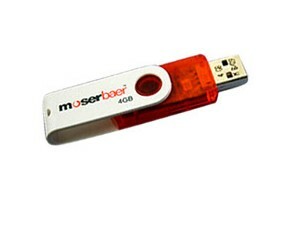 How to get Moserbaer 4Gb pendrive at Rs 149? Enter your email address, City and submit. You will get a verification code on your number, Enter that code. Click here to go to Moserbaer deal page. 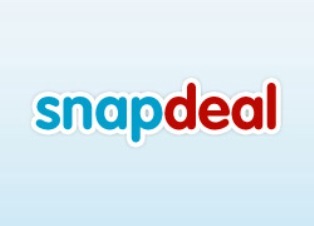 Buy now and use promo code received in SMS to get Rs 50 off. Use same mobile number and email address at the time of checkout. Offer valid till stock last. So Act fast! PrintBindaas.com is a website for online printing services. They provide products include business cards, envelopes, letterheads, marketing collaterals like brochures, banners, posters and flyers, invitations and greetings, gifting products like mugs, T-shirts, mouse pads and much more. 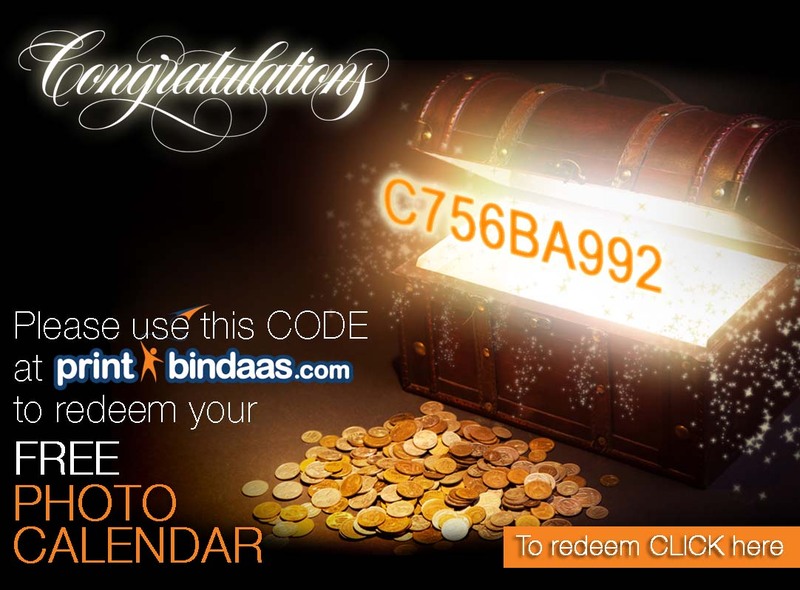 PrintBindaas is running promotional offer in which they are giving a Free Photo Calendar for everyone. This photo calendar is of worth Rs 149 and you have to pay only shipping of Rs 50. Read below to know the coupon code and to know how to redeem. How to get free photo calendar? Click here to go to printbindaas redemption page. 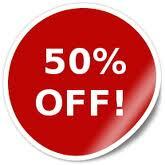 Customize your calendar and checkout by paying Rs 50 as shipping. A free treat worth Rs 500 at one of the best parlours in the city! What else does a woman want? 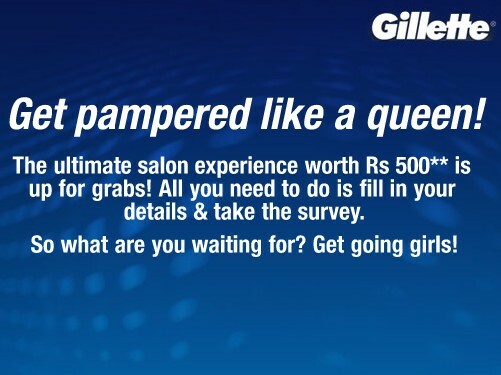 Gillette India is running a promotion where you can get ultimate salon experience worth Rs.500 for free , this offer is applicable only for first 1000 female members.All you need to do is to participate in the small survey organized by Gillette on their Facebook Fan page. How to Get Ultimate Saloon Experiences worth Rs.500 for free? 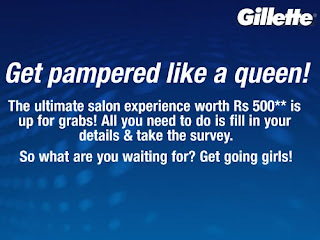 NOTE: This promotion is only for first 1000 females who complete the Gillette survey successfully. Voucher cannot be adjusted against insurance premium. SD cash will only be credited when they are are visited by the Aegon Religare representative for financial planning. SD cash will be credited within a TAT of 10 working days after the Aegon Religare representaive visit. Show your voucher when representative visits you. Note: Rs 100 SD cash will be credited after meeting representative.